MIAMI-DADE COUNTY, Fla. - Police are searching for two gunmen who opened fire into a crowd gathered outside a northwest Miami-Dade County convenience store. Miami-Dade County police said the crowd was outside the Heat Food Market in the 5800 block of Northwest 27th Avenue around 9 p.m. Friday when the shooting started. Corey Davis Jr., 26, and Vickie Boggs, 56, were killed while Vandella Davis, 34, Latresha Knight, 35, Romario Louider, 29, and Tyrone Smith, 56, were also hurt in the confusion after the shooting, police said. A 11-year-old girl, who was not identified, was also injured when she was grazed by a stray bullet. 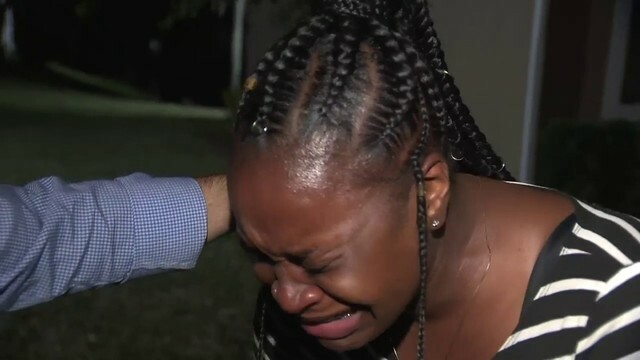 Shaniqua Boggs -- whose mother was killed in the shooting -- said neighborhood residents would often hang out outside the Heat Food Market on weekends. The shooting has left her and her family grief stricken. "I actually saw her body on the floor covered in blood with the yellow tarp over her and I knew it was her because I knew what she had on," Shaniqua Boggs said. Davis' sister Lucy Butler-Sands said the man was visiting the area for Thanksgiving. "He was only here for two days," she said. The victims' families said they want justice for their loved ones. 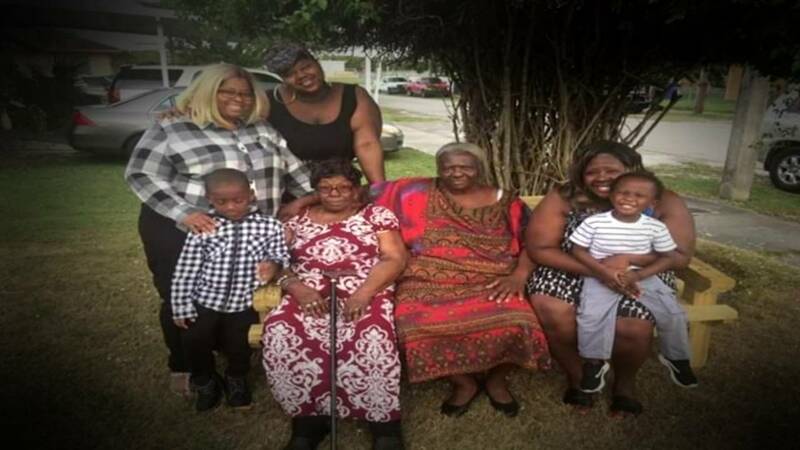 Vickie Boggs, 56, (center, seated in red dress) was shot and killed on Friday night. 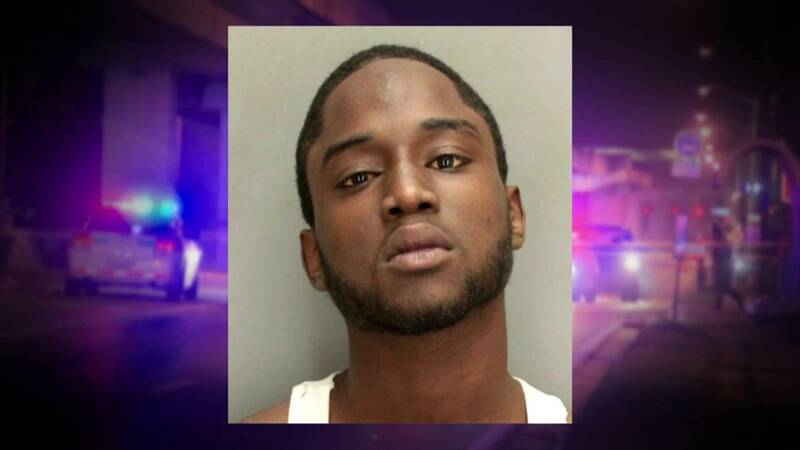 Corey Davis Jr., 26, was visiting relatives for Thanksgiving when he was shot and killed. "We just want you you to do the right thing and turn yourself in, for her and for the other victims shot, as well," Shaniqua Boggs said. Meanwhile, a makeshift memorial has been set up outside the market. Someone placed flowers and a sign reading "RIP Vickie" on a folding chair in front of the store. "We just hope the cops can do their job to find the person responsible," Butler-Sands said.